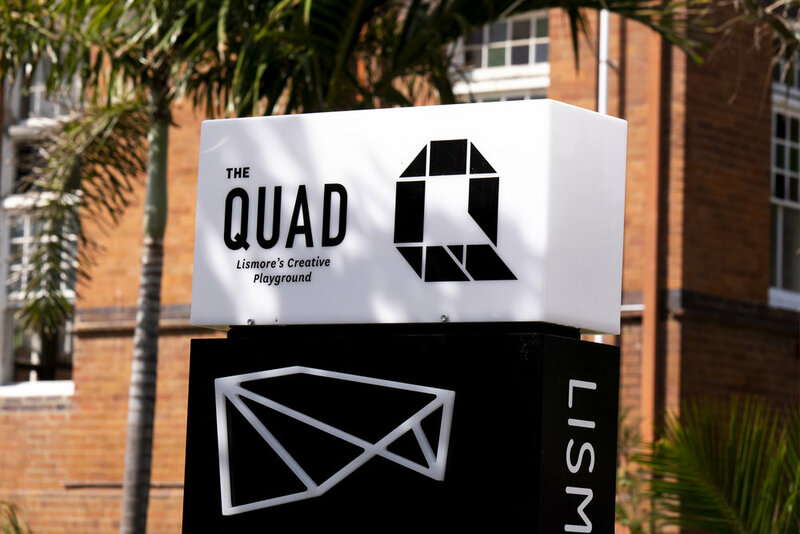 The Lismore Quadrangle is the creative focal point for Lismore and has become the new town square. It is ‘Lismore’s Creative Playground’ and is made up of a large outdoor green space surrounded by various buildings and public facilites such as the Lismore Regional Gallery and library. The green space acts as a natural meeting area for public gatherings, art installations, concerts, movie screenings and more. I created a modern and understated identity for the space thats uses the natural form of the ‘Q’ to mimic the layout of the Quad with its central outdoor area and the surrounding buildings that enclose it.